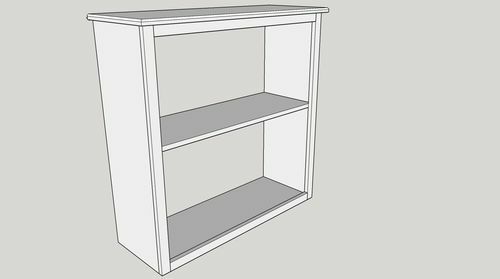 In the base I’ve done hardwood bookcases using a simple rabbit joint as shown below. But with ply, how should I cover the edge on the top that won’t be covered by a face frame? Any other recommendations for joining the sides to the top and bottom? 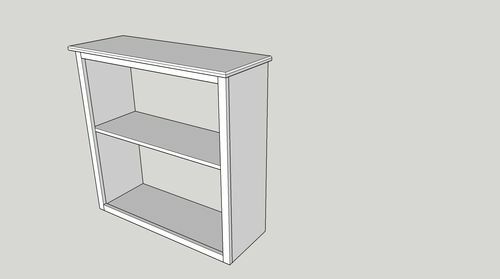 I’ll use dados for the shelves. Dowels, Biscuits, splines, locking miter. One method is to use a veneer. You can purchase this material in various species. Some even have a pressure sensitive peel off backing while others use glue that melts when you apply an iron. How tall is it and how you going to finish it? No matter how you connect that corner, you will have a plywood edge visible. That is unless you do a 45 degree beveled edge (which I would not recommend). 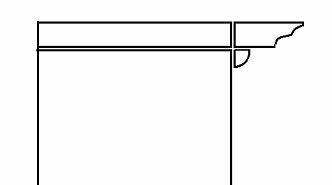 If the plywood edge is low enough to be seen, then I would recommend veneer edge banding the top of vertical edge prior to making the rabbet. Once the veneer is on, and trimmed, then you can use a dado blade to get the fit perfect for the 23/32” plywood top to fit within. However, if the top will be higher than about 76” or so, then I wouldn’t worry about it. I don’t show it but I’d do something with the toe kick also. I’m with AlaskaGuy on this—if the top will be visible, put a lid on it. Otherwise, ignore it. running the sides up another couple inches, adding a back rail, and edgebanding the top edge of the ply. running the top over the sides and adding a trim detail to cover the edges. leaving the back flush with the cabinet. rout the 3 edges with an Ogee or similar profile and turn it over with the routed edge on the bottom. then apply a 3/4” 1/4 round shoe molding under it to make a very nice profile. 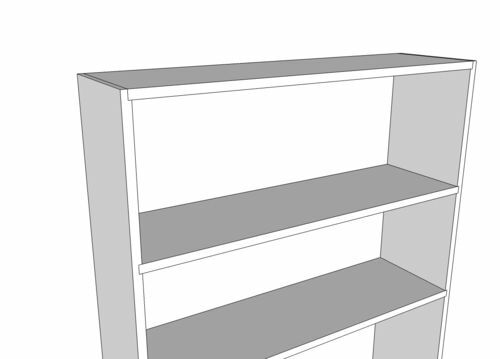 if the bookcase is under 5 feet tall, I would use solid lumber glued up for the top that will match the plywood case. if you leave it just a Plane Box configuration – it will look like something you would buy at Ikea. maybe someone that has sketchup can make a better rendering of what I am trying say. This is a little more work, but it does get rid of the edge. Or you could make your dado deeper, on just the top, so that only about an 1/8 of the edge shows. You would still have to veneer the edge. Thank you all. Yes, I lifted the image from somewhere (probably SMC). I agree with others—put a top on it. Actually, most of the joints illustrated are commonly referred to as dado joints. 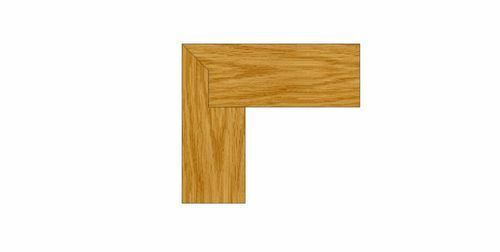 Rabbet joints usually refer to a cross grain cut along the edge like the top one in the illustration. Another simple answer is adding a piece of hardwood edging to the plywood side. Basically glue on a 1/4 strip to the end of the plywood side. Then cut your rabbet as normal. The end of the ply will be hidden and you’ll have a small seam showing on the side. Not invisible, but not as much work as building a top. 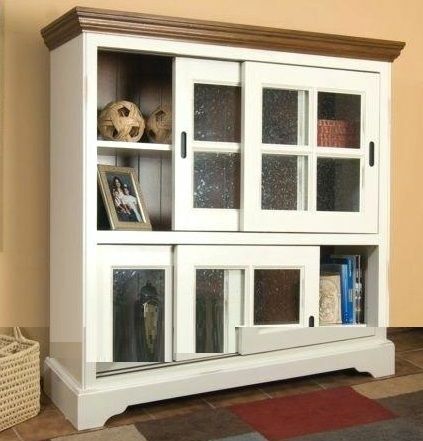 Put a hardwood top on it, it won’t cost a lot and will add another dimension of class to the piece. Also add a plinth, make the simple look elegant. What’s a plinth and how do I make one? From googling, looks like a bottom piece. modified photo just to show the top and bottom of a nicely constructed cabinet case. 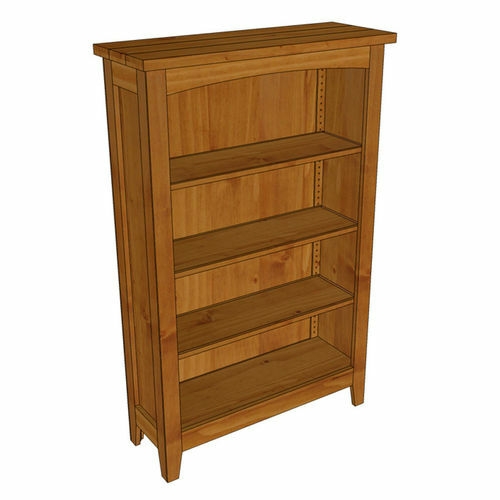 a simple decorative support base (plinth) will add charm and character to your bookcase. Perhaps you have a good reason for not telling us but you never did answer the question…. “How tall is it and how you going to finish it?